Dr. Smith has been in private practice since 1982. She has a B.A. in Movement Therapy from Webster University. 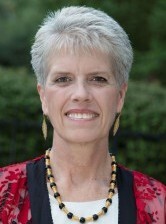 She received her Doctor of Chiropractic from Logan College of Chiropractic in 1982. Dr. Smith has training from Washington University School of Physical Therapy in physical rehabilitation. She is a guest lecturer at Washington University and taught at Logan College of Chiropractic for eight years. In 1992 Dr. Smith became certified in acupuncture and utilizes this method as an adjunct to chiropractic care. Dr. Smith is a student of nutrition and the benefits of a healthy lifestyle. She educates her patients with the latest information and guidelines to promote their health. Committed to fitness personally and professionally, Dr. Smith is a dedicated runner and swimmer. She practices yoga and meditation. She plays the guitar and sings for children and the elderly. 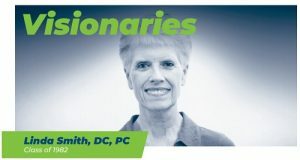 Dr. Smith is honored as one of eight outstanding alumni of Logan University for her work to support the chiropractic profession and to bring chiropractic care to underserved populations. Read more in our blog article. Dr. Smith, on behalf of the Arthritis Foundation, was recently interviewed on Elder Talk on AM1380, The Pulse. She discusses maintaining mobility as we age, avoiding pain medicine, and understanding the place for hands-on health care. You can access the talks through iTunes or DropBox. 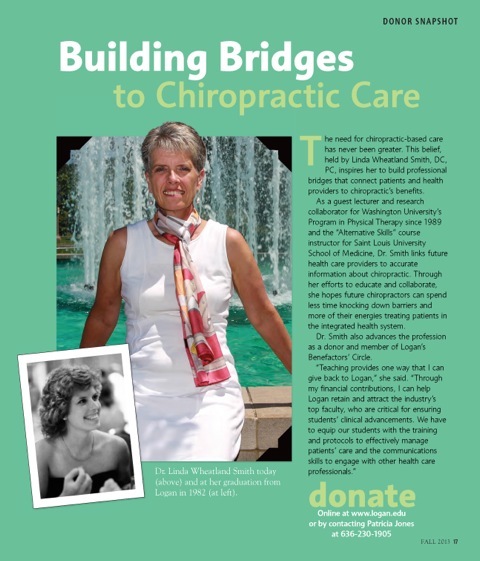 Dr. Smith featured in Logan Tower as 2016 Arthritis Foundation Chiropractic Honoree. She is the first chiropractor in the nation chosen for this position. Please consider a donation to support this important organization at http://www.arthritis.org/missouri/.